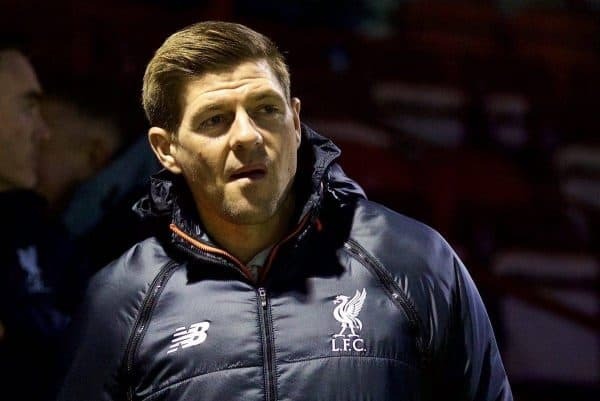 Steven Gerrard is set to be promoted to Liverpool’s under-18s coach next season, having re-joined the club as academy coach in January. The iconic Liverpool midfielder has been working throughout the club’s youth ranks so far these past three months, but will be promoted to under-18s boss in the summer. This is according to the reliable journalist Paul Joyce, who explains that “Jurgen Klopp and academy director Alex Inglethorpe believe it will be an important step in Gerard’s development as a coach. 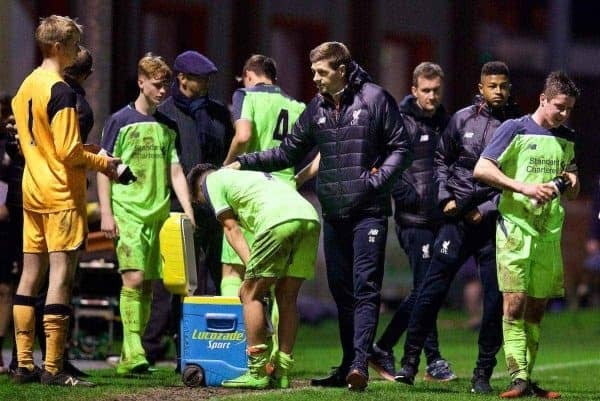 Gerrard has been a regular fixture at the Reds’ under-18s fixtures in his opening three months in charge, clearly enjoying his new role and beginning a new chapter in his career. The current under-18s coach is Neil Critchley, who has been in the role since 2013 – joining from Crewe’s famed academy. Gerrard’s promotion could therefore see Critchley promoted to under-23s head coach, with a permanent successor to Michael Beale having yet been announced. Mick Garrity has been in temporary charge of the Reds’ under-23s since Beale left to join Sao Paulo earlier this year. It’s also claimed that Gerrard will lineup for Liverpool in the Reds’ post-season friendly in Sydney on May 24.